Lisa Kokin is a mixed media artist from California. She makes a wide range of amazing textile artforms, but we are going to focus on her button works. “My father’s death in 2001 sparked a period of introspection and existential rumination. A primal tie was broken and I was left to ponder my identity as the only child of one remaining elderly parent. Whereas in the past my work often dealt with larger socio-political themes, at this time in my artistic life my work took a distinct turn towards the personal. “Buttons had made cameo appearances in much of my previous work; never had they been the primary material until this series. My parents were upholsterers and my earliest memories are of playing in their shop with piles of vinyl and foam rubber. I have sewn since I was a child and the stitch plays a major role in my work, so it was natural to join the buttons together to form a reconstructed family portrait. What began as a memorial to my father soon expanded to the realm of family portraits, past and present, human and canine. The series culminated with a three-part public commission of button portraits of Rosa Parks, Cesar Chavez and Fred Korematsu. This is another of those “whoa” moments, like when I first saw Cayce Zavaglia or Alicia Ross and I had a paradigm shift. I’ve not seen a heap of button work, but I’ve never seen anyone working in the same way as Lisa Kokin. The method is simple and yet Lisa has set a high standard for this method of making art from buttons. I’m pretty speechless, but I love it. 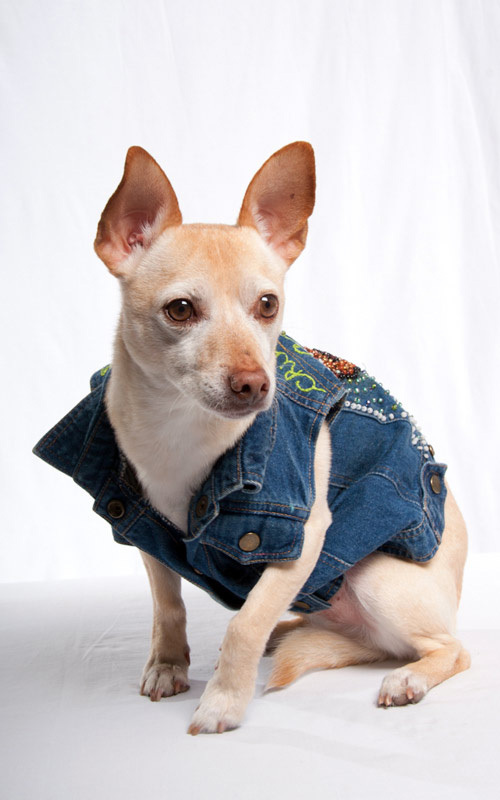 I won’t even talk about Lisa’s costumes for chihuahuas, or her How The West Was Sewn series. I may have to come back to Lisa in another post once I’ve recovered! Go get yourself a cuppa and sit down for a good rummage through Lisa’s website. You will not regret it.